Laygel is our Synthetic Latex equivalent. It has a similar feel to Latex but without the price tag. It has an almost zero-visco elastic threshold. This means it doesn’t rely on heat to mould like Memory Foam. Laygel moulds to the body but unlike Memory Foam it does not rely as heavily on heat to fully mould, meaning it does not get as hot as Memory Foam. 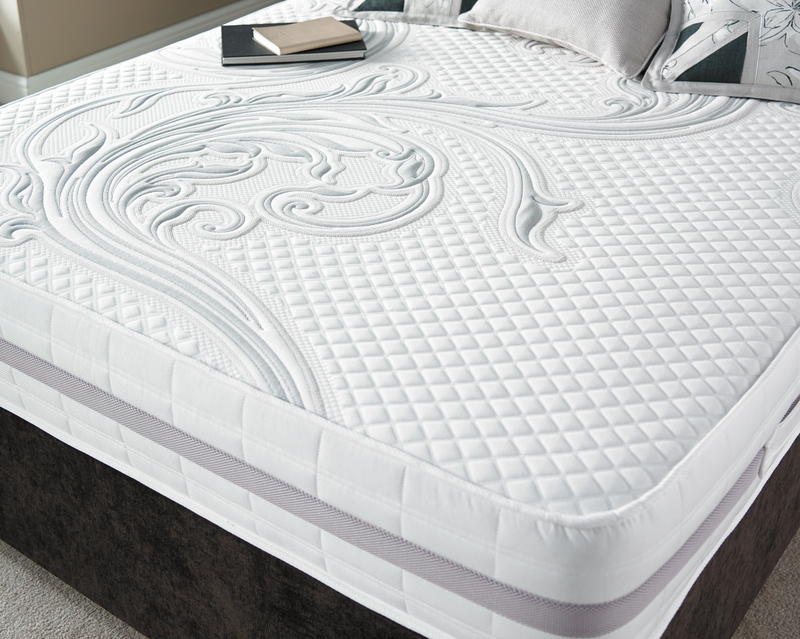 Due to this it also returns to it’s original shape much quicker, meaning you’re not left with a indentation on your mattress as it returns to form. Memory Foam is often criticised for people who roll over during the night as they often get stuck in one position as its slow to react.